Leather has legs this Fall. 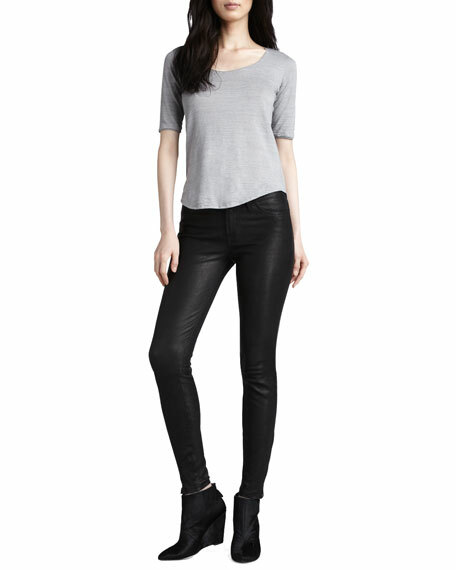 Impeccably tailored J Brand Jeans leather pants fit like a second skin. L8001 Super Skinny cut in noir black stretch lambskin. Mid-rise style sits high on hip, 7 1/2" rise. Zippers adjust 10" leg openings. 28" approx. inseam, 36 1/2" outseam.